Our industry-leading Business Critical Translations were the first in the UK to be awarded the prestigious British Standard EN 15038 for translation service quality way back in 2007 – a standard we’ve not just retained but exceeded every year since then. We say this not to boast, but to back up our claim of being your best choice to translation partner when it just has to be 100% accurate. Business Critical Translations really are special. They include the added security of fully independent editing & proof-reading by a second (and sometimes even third) qualified and experienced sector expert. They also include UNLIMITED iterations, free of charge, until you are entirely happy with the content and style of the finished work. 100% satisfaction guaranteed – or you don’t pay. 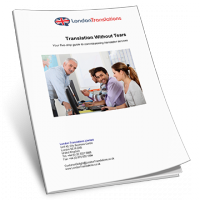 Why choose a Business Critical Translation? Simply put, our Business Critical Translations are the most accurate translations available in the industry today – guaranteed. We don’t make this claim lightly. Business Critical Translations build upon the already excellent reputation and quality of our Standard Business Translations by adding unrivalled levels of cross checking and proof-reading. 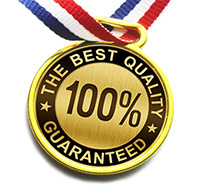 Business Critical Translations are the only choice when it simply has to be 100% right. Fair Prices: Experienced professional translators producing excellent work at a realistic price meaning you receive great value. Security and simplicity: The security and simplicity of dealing with a company registered and based in the UK. Track record: We’ve been in the language services business for over a decade and have serviced organisations large and small. We are committed to using this experience to help you be successful in your chosen market. Click here to see what our existing clients think of us. Personal service: We’re passionate about providing the very highest levels of personal service. We are here to help you in any way we can. Call us now on +44 (0)207 021 0888. Alternatively, click here and we’ll call you completely free of charge and without obligation.